A light show like ours has a lot of parts, all of which need to be stored for most of the year. 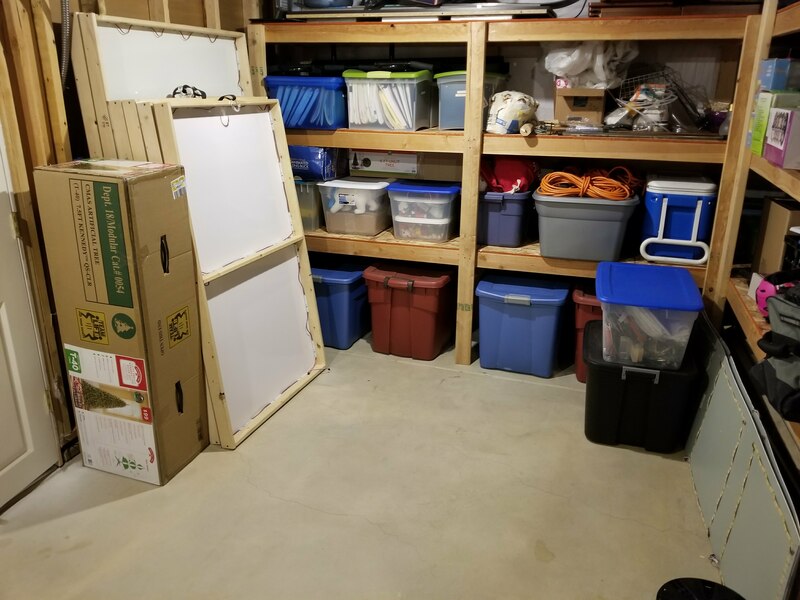 Fortunately, we have a nice storage area in the unfinished section of our basement that works well for this, though we have had to get creative with some things. 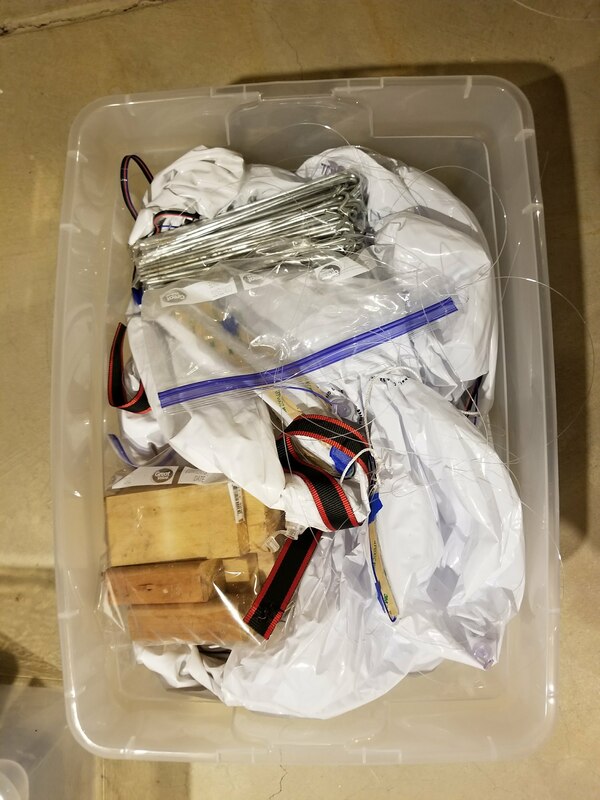 Here are some pictures of everything in the off season. All of the pixels for the house stow nicely beneath one side of our storage shelving. We built some wooden racks out of the cheapest 1×2 material Home Depot sells. It took some creativity but our lighting stuff fits in the basement storage area with room to spare. The house pixels are hiding behind the garage door seven-segment displays. The window light boxes leaning against a wall in our basement storage area. 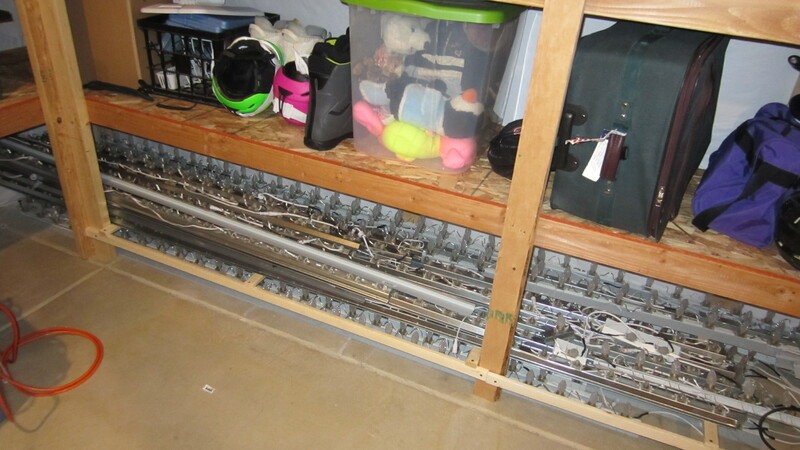 Other boxes of indoor and outdoor lights take up the middle shelf. 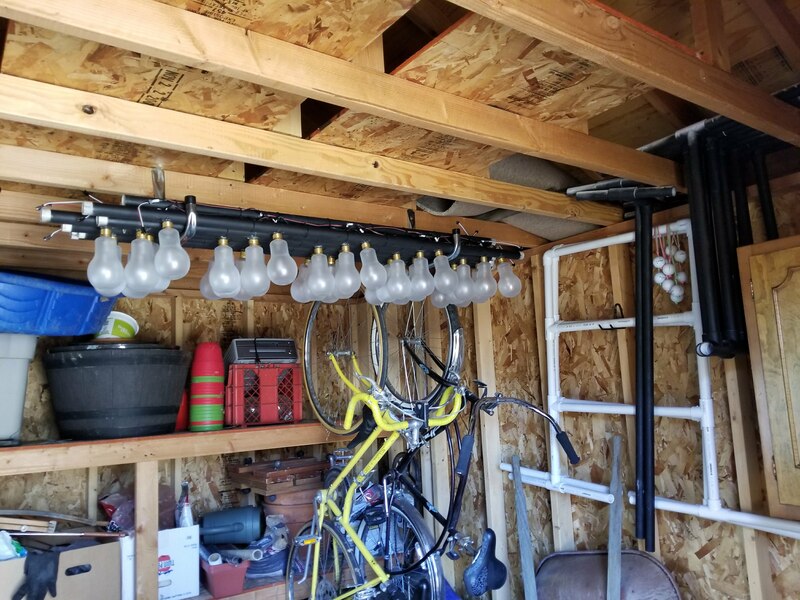 The light bulb rails hanging from the ceiling of our storage shed. 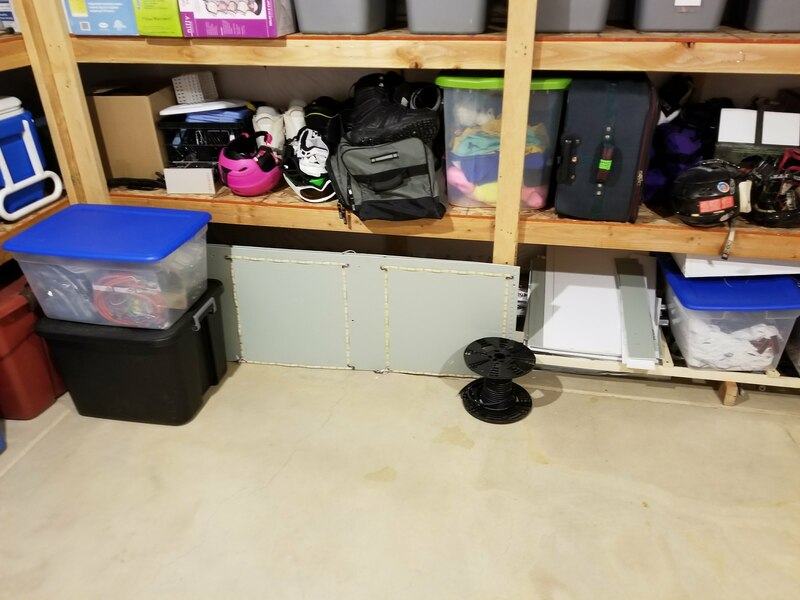 Everything else fits in the basement but these work better out here. 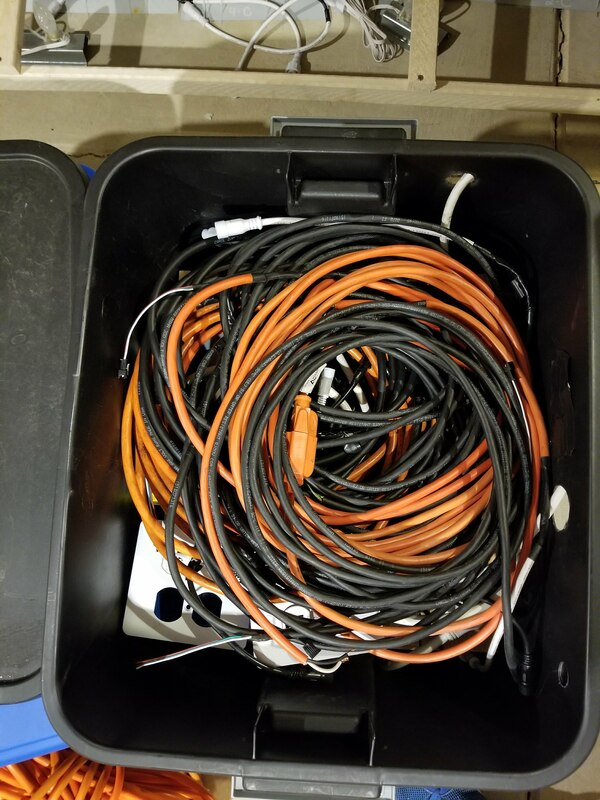 The bomb box, now doubling as storage for all the cables that were running through the yard. All of the snowmen fit into a single storage tote!